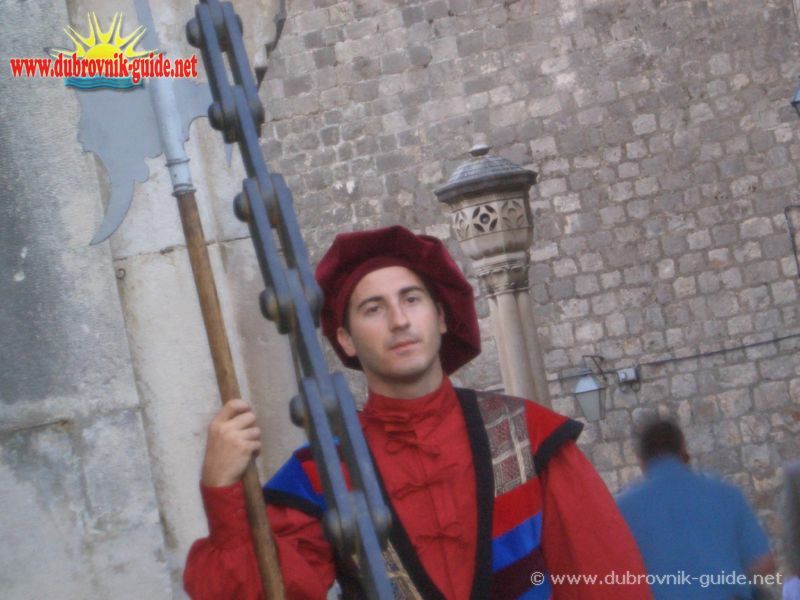 There is no city alike Dubrovnik, no city as beautiful nor as glorious and tumultuous throughout its whole history that managed in preserving its medieval charm so it can be felt and grasped even today as thousands of tourists come to Dubrovnik experience. One begins sightseeing just by entering the City and marvels at every corner, every street and every piece of rock that lies in this ancient masterpiece. 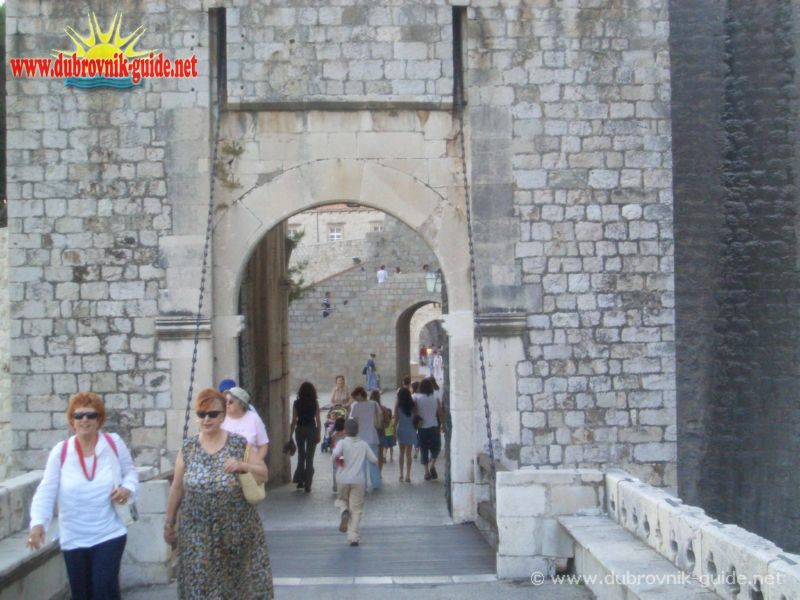 the Pile Gate, the Ploče Gate, the Peskarija Gate and the Ponta Gate. 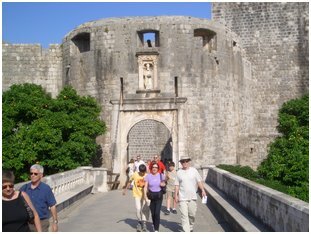 An interesting anecdote from the 15th century tells how the citizens of Dubrovnik considered opening another gate in the northern wall. However, they could not agree, since some claimed it would be useful because goods could then be brought into the City more easily, while others feared it would weaken the City's defences. So they invited two of the best known town planners of the time, one from Ancona and the other form Genoa, to come to Dubrovnik to advise them. The town planners arrived and both of them advised that the gate be opened. "It's now easy to reach a decision. Both the gentleman from Genoa and the one from Ancona think it would be most useful to us if the gate were opened. Therefore, notary write down this: "We, just in case, will not open the gate". However, a gate was opened in the northern part of the walls after all, but during the Austrian rule- the so-called Buže Gate.